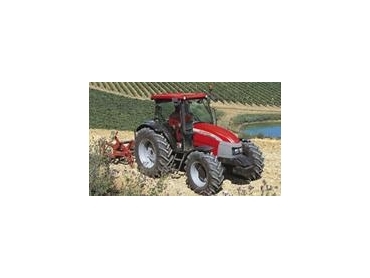 McCormick C Max Series Tractors from Farm Machinery Tasmania offer an ideal solution for loading and general farm work. McCormick C Max Series Tractors provide simple directional changes thanks to their forward/reverse synchro shuttle or optional reverse power shuttle. These tractors also feature a 55º steering angle that allows for precise movements in small spaces. The generous capacity and high pressure pump of the McCormick C Max Series Tractors make them ideal for tillage operations at small farms. Optional assistor rams provide extra lifting power and enable the use of a wide range of tillage equipment. McCormick C Max Series Tractors include a completely independent PTO system with a range of PTO speeds, making them suitable for use on grassland farms. Standard creeper gearing provides those extra speeds for specialist operations. McCormick C Max Series Tractors can reach speeds of up to 40kph and feature true four-wheel braking.